When Captain Marvel first appeared in the pages of comic books, he had awesome powers and abilities. But, like many other comic characters, his abilities and powers grew as his adventures and stories continued. An example of this is Captain Marvel's ability to fly. Like Superman, Captain Marvel wasn't able to fly in his first comic stories, he was only able to leap across great distances. 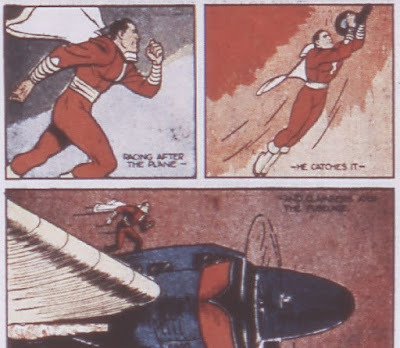 I did some investigating and I believe that the first time Captain Marvel was able to fly was in Whiz Comics # 5 which published April 26, 1940. Here are some examples of Captain Marvel only being able to leap and not fly. First we have a panel from Whiz Comics #2 - Cap's origin! Notice that he leaps across a mighty chasm! From Whiz Comics #3 notice that Captain Marvel runs after a plane, grabs the wheel and pulls himself up onto the plane. He has to do that because he can only leap and not fly! 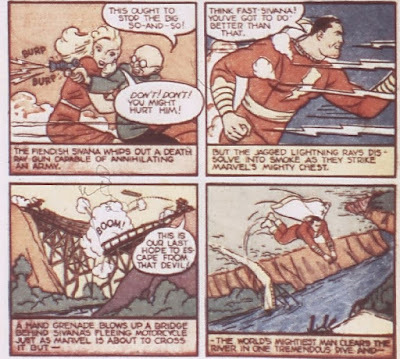 In Whiz Comics #4, Captain Marvel is chasing Dr. Sivana and Beautia who are trying to escape. He's not flying after them, but running! When the bridge is destroyed, he doesn't fly, he makes a giant leap. 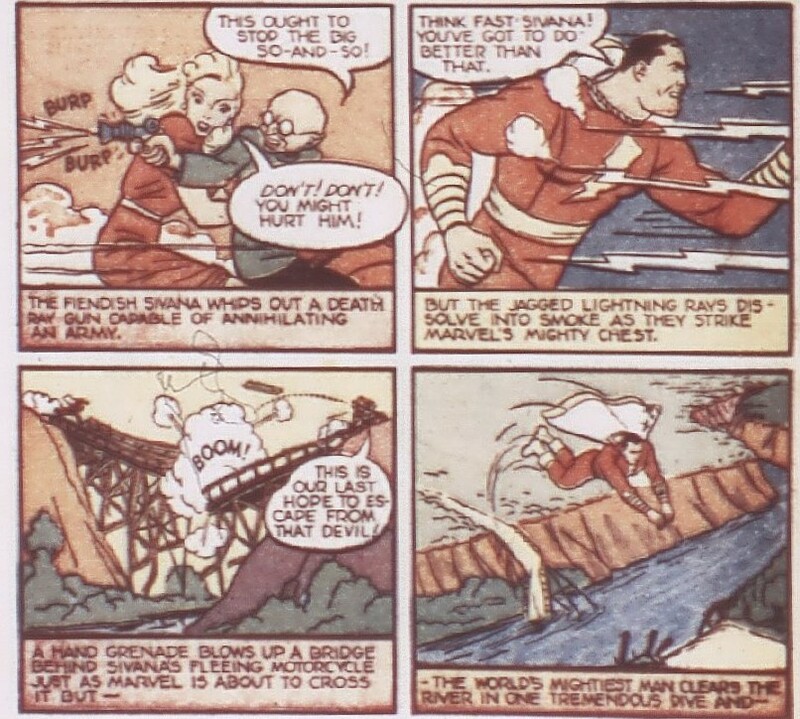 Here are the panels from Whiz Comics #5 where we first see Captain Marvel flying! 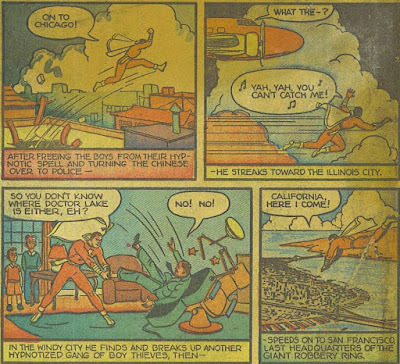 Captain Marvel's powers and abilities grew from his first comic as his character became more settled. This is exactly what happened to other comic book characters as well. I'm glad Captain Marvel was given the ability to fly - and soon he was able to time travel by flight! When did Captain Marvel first fly? I believe it was in the pages of Whiz Comics #5! !